Plant-based omega upstart ahiflower just saw a double-blind, placebo-controlled, published human clinical on it that demonstrated anti-inflammatory and immune-modulating effects on par with fish oil. The findings are the first-ever reported indication of anti-inflammatory cytokine interleukin-10 expression from a plant-based omega-rich dietary oil in humans. IL-10 is one of the body’s natural tools to help quench excess inflammation after infection or strenuous exercise. The new omega-3 source is rich in stearidonic acid (SDA), which converts to the important long-chain omega-3 EPA at 30-40 percent—multiples greater than flaxseed oil, which converts at levels ranging from 3 to 17 percent (women vegans are at the high end). “I definitely think this places ahiflower in the same category as marine oils as regards anti-inflammation,” said Greg Cumberford, vice president of strategic initiatives at Natures Crops International, the exclusive grower of ahiflower that introduced the plant to the market in 2015. The dose-ranging study gave ahiflower (Buglossoides arvensis) to 88 healthy subjects for 28 days. The groups received either 100 percent ahiflower, a blend of 60 percent ahiflower and 40 percent high-oleic sunflower oil (HOSO, which contains no polyunsaturated fatty acids), a 30/70 blend, or 100 percent HOSO. The dose-response results saw the 60 and 100 percent ahiflower groups with the greatest rises in EPA levels. All groups saw an increased production of the anti-inflammatory marker interleukin-10. It also increased blood levels of the important omega-3 EPA, as well as alpha-linolenic acid (ALA), docosapentaenoic acid (DPA) and eicosatetraenoic acid (ETA). People with low levels of circulating IL-10 have been shown to have higher severity of immune disease response. Athletes who engage in high-intensity or extreme cardio-fitness workouts are known to have a higher susceptibility to upper respiratory disease, due to reduced autoimmune defense mechanisms during recovery. 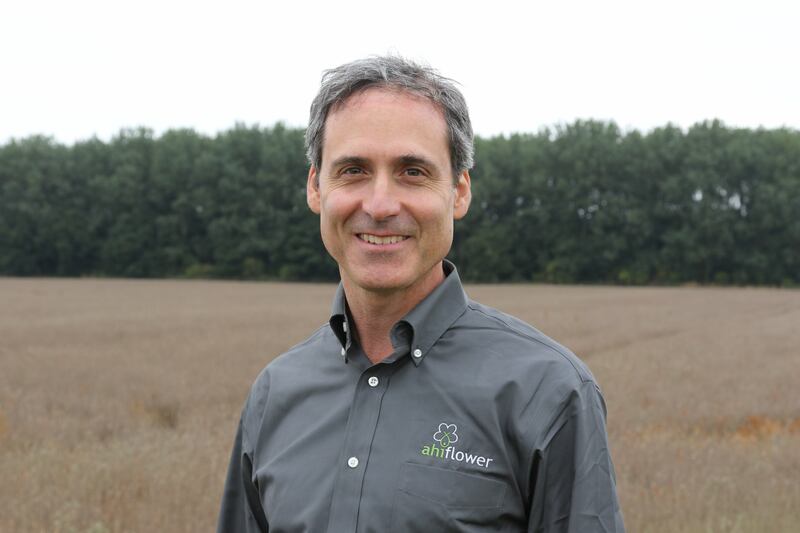 Ahiflower is differentiated from other plant-based omega sources by virtue of its SDA content, sensory appeal, clean taste and aroma, and cost compared to other omega-3 sources, said Cumberford. It can appeal to vegans, vegetarians and people who are concerned about sustainability in omega supplements. A recent controlled clinical trial comparing SDA-rich ahiflower oil to ALA-rich flaxseed oil saw superior conversion to EPA with ahiflower. Cumberford said this opens up opportunities in applications ranging from sports nutrition beverages, fermented beverages, fortified non-dairy milk, spreads, salad dressings, smoothie oils, bars and powdered drink mixes. Ahiflower is grown in the United Kingdom. It was launched in 2015 and saw eight brands license the ingredient. In the past year, more than a dozen more brands chose ahiflower in their products.